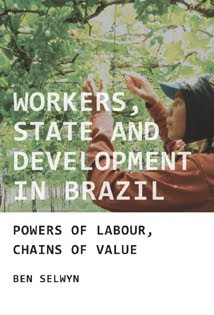 Workers, State and Development in North East Brazil, by Ben Selwyn, will be launched at the Agrarian Change Seminar on 8th March, 5.15 – 7.00pm. The seminar, and launch event, will be held at the School of Oriental and African Studies, University of London. If you would like to attend, please email bethan[email protected]. Category: Study Guides	0 Comments.